CARACAS - Venezuela ranked as the most dangerous country in the world for the second straight year according to a new Gallup survey, falling below conflict-torn nations including Afghanistan and South Sudan in terms of perceptions of security. Among the findings, the survey revealed that 42% of Venezuelans had property or money stolen in 2017, and nearly 25% of Venezuelans had been assaulted, one of the highest rates of assault in the world, according to the survey. And while almost 70% of people interviewed across all 142 countries were confident in their local police, that number drops to 24% for Venezuelans. Only 17% of Venezuelans felt safe walking home at night compared to the world average of 68%. The Gallup survey — titled 2018 Global Law and Order — uses a composite index based on citizens’ perceptions of security, such as confidence in local police, feelings of personal safety and the prevalence of assault or theft in the past year. The results of the survey are based on interviews with around 1,000 people in each of the 142 countries that participated in the 2017 study. 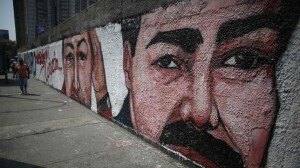 Venezuela has been in a state of crisis for years, roiled by political turmoil, mass protests, food and medicine shortages, a soaring drug trade and one of the highest homicide rates in the world, according to the Venezuelan Violence Observatory. Singapore, Norway and Iceland scored highest, respectively, for law and order, while Venezuela, Afghanistan and South Sudan scored the lowest. The insecurity in Venezuela underlines a larger trend in Latin America and the Caribbean, which has suffered from perennially high levels of insecurity. Collectively, the region has had the lowest scores for law and order for the past two years.